Please use the links to the right of the video window to download webinar materials. 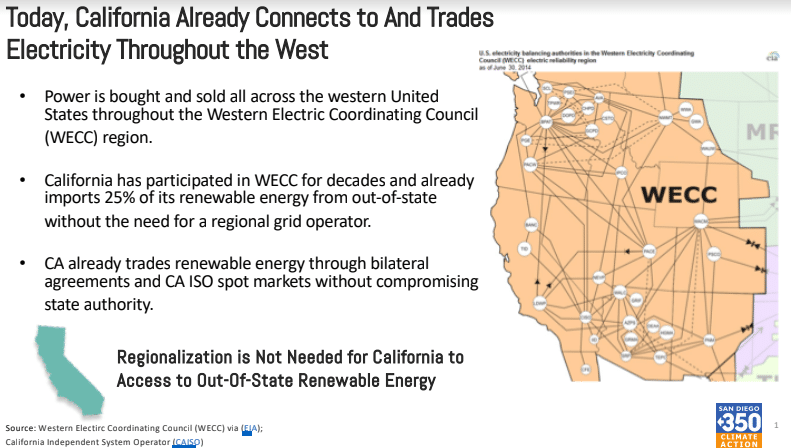 Regionalization of the western electricity grid is a hot topic in California with pending legislation and a broad diversity of analysis and opinion. How might a change in some of the rules and/or governance of the western grid impact CCAs? Join us to hear two perspectives. Our presenters this month are Loretta Lynch and Jon Wellinghoff. Loretta Lynch served as President of the California Public Utilities Commission from 2000 through 2002 and served as a Commissioner until January 2005. Ms. Lynch guided the PUC through the California energy crisis and fought against gouging and manipulation by energy sellers. Commissioner Lynch was an early critic of energy deregulation and is a strong advocate of clean, affordable energy. She will present a perspective generally in opposition to regionalization. 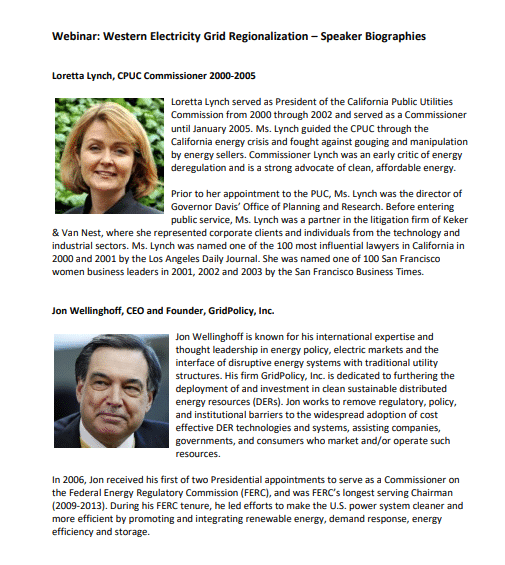 Jon Wellinghoff, CEO of Grid Policy, Inc. and former Federal Energy Regulatory Commission president will offer a perspective in support of regionalization. 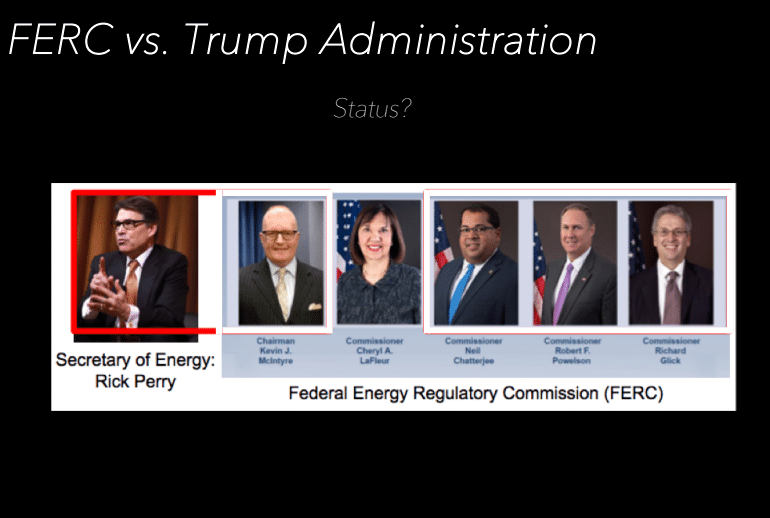 In 2006, Jon received his first of two Presidential appointments to serve as a Commissioner on the Federal Energy Regulatory Commission, and was FERC’s longest serving Chairman (2009- 2013). During his FERC tenure, he led efforts to make the U.S. power system cleaner and more efficient by promoting and integrating renewable energy, demand response, energy efficiency and storage. Support for the Clean Power Exchange program provided by the Jonathan Logan Family Foundation.